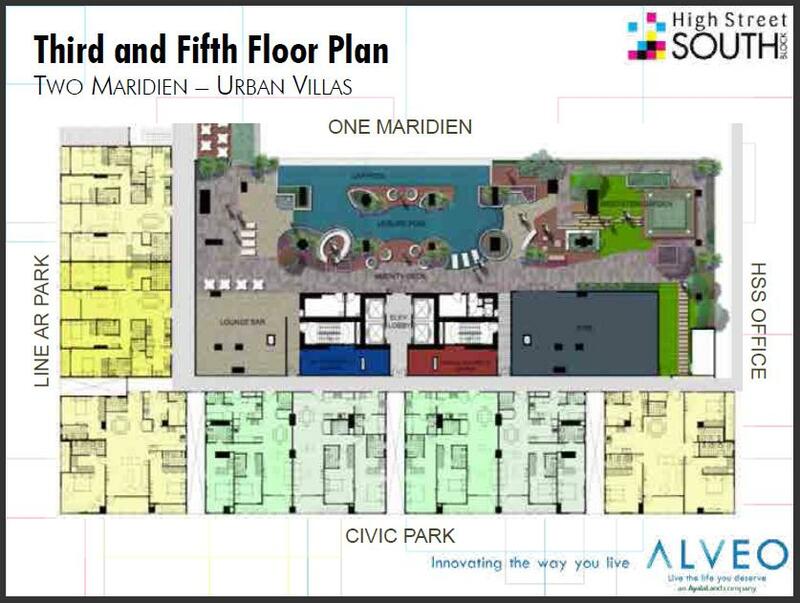 TWO MARIDIEN at HIGH STREET SOUTH by Alveo Land – WELCOME HOME. Feel like a true citizen of the world as High Street South celebrates creativity and possibility. 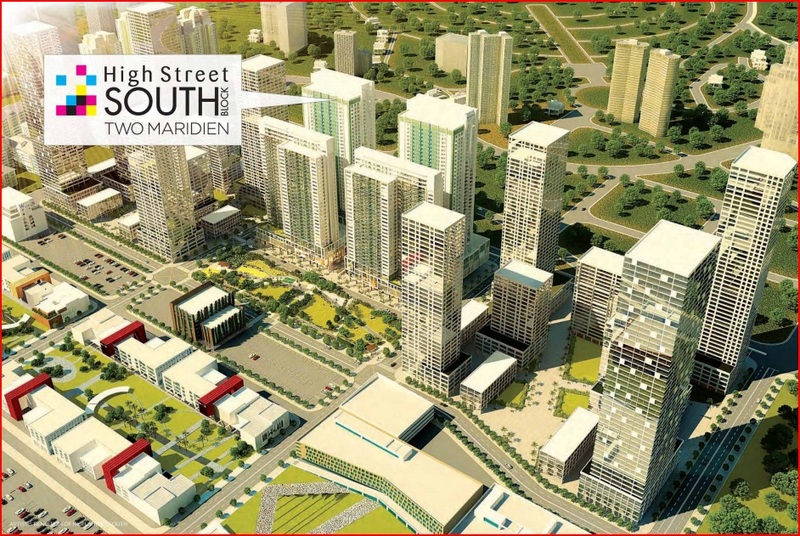 Without boundaries to the imagination and Filipino ingenuity, High Street South stands proud to be BGC’s Cultural District and future home to world-class talent. 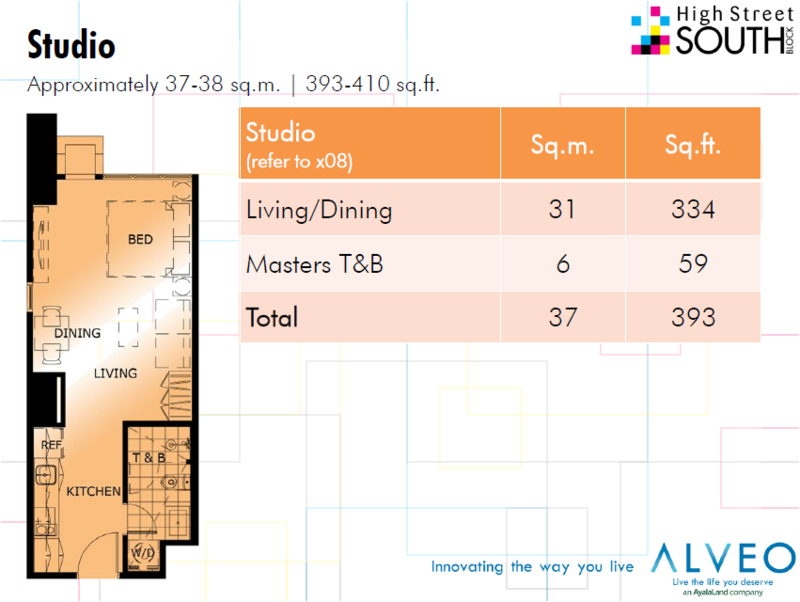 Developed with the spirit of innovation of Alveo Land and fueled with the new urban vision heritage of Ayala Land, this synergy brings cosmopolitan living to new heights. You can have the best of both worlds: sweet serenity at home and vibrant community life right outside your door. 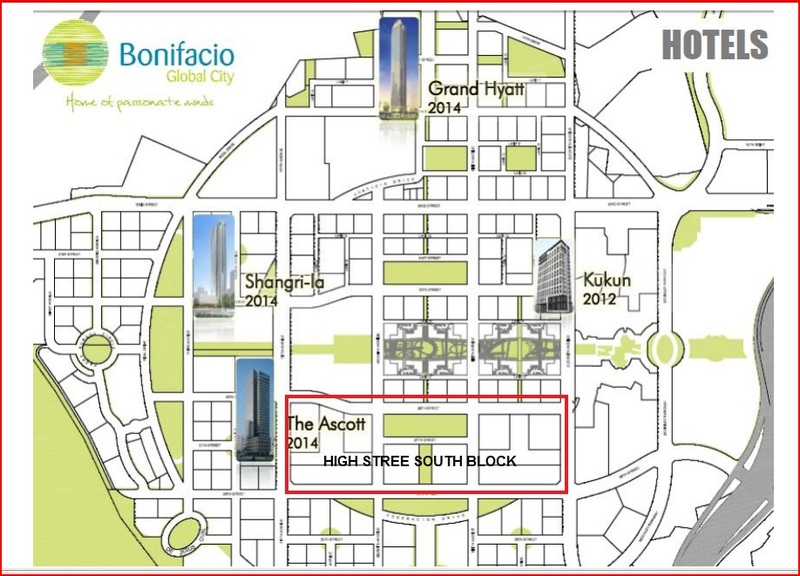 High Street South is planted at the heart of BGC, the prime spot of world class living. 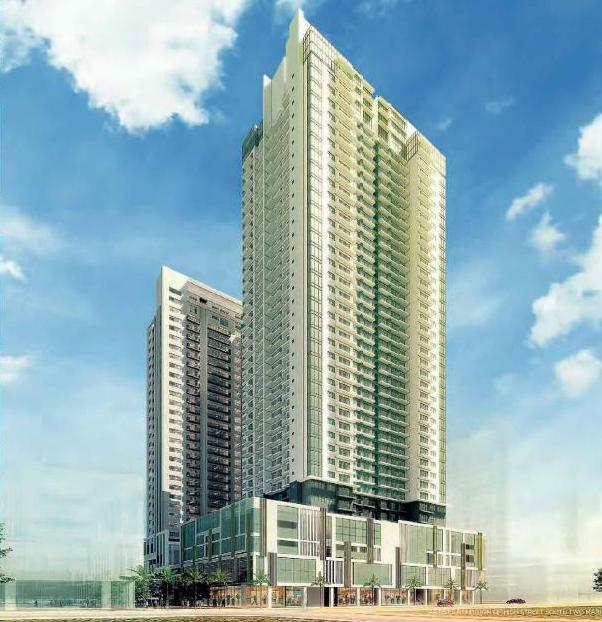 It is located directly south of Bonifacio High Street and west of Serendra. 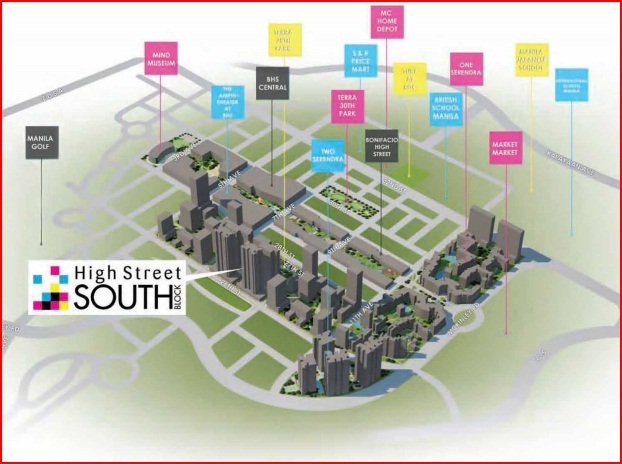 This frames High Street South as a natural extension to these lifestyle and residential destinations. 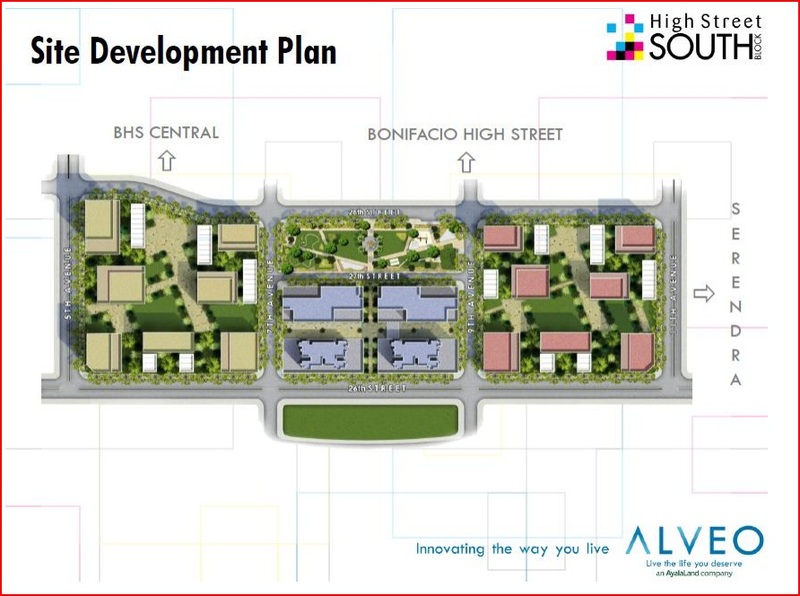 A distinct pedestrian lifestyle destination integrated with Bonifacio High Street. It features a vibrant and diverse retail experience, from global flagship stores to niche artisanal shops, community grocery stores to open market fruit stands. 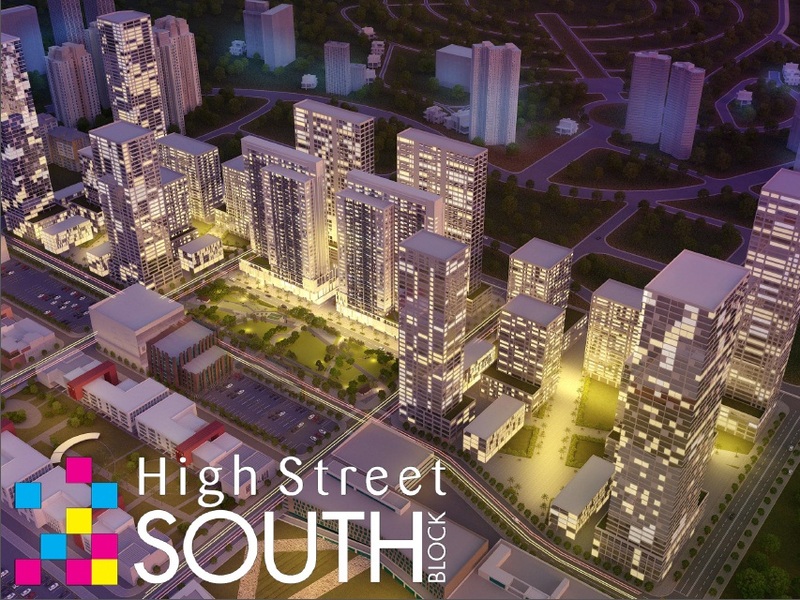 Whether you’re looking to buy something specific for your home upstairs, or just lounging around to pass the time along the al fresco strip, the Retail Promenade at High Street South will definitely satisfy. 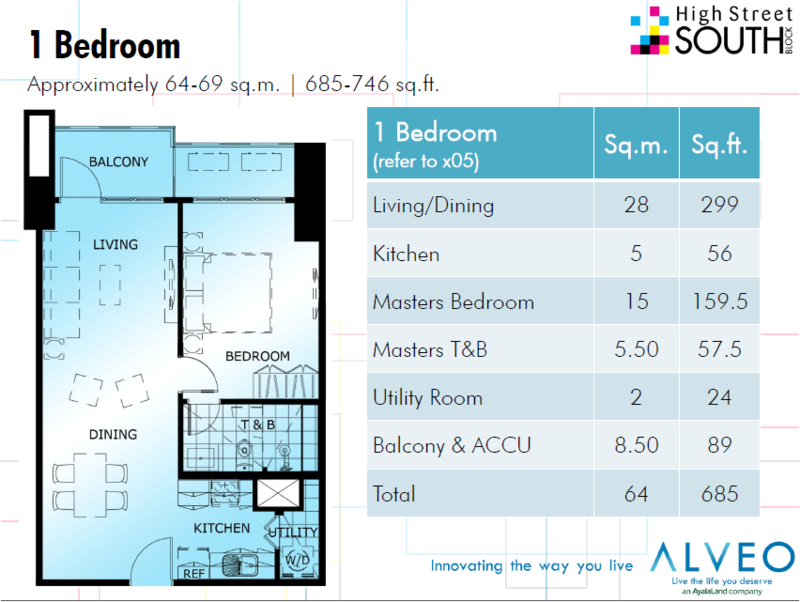 Space is redefined in High Street South. 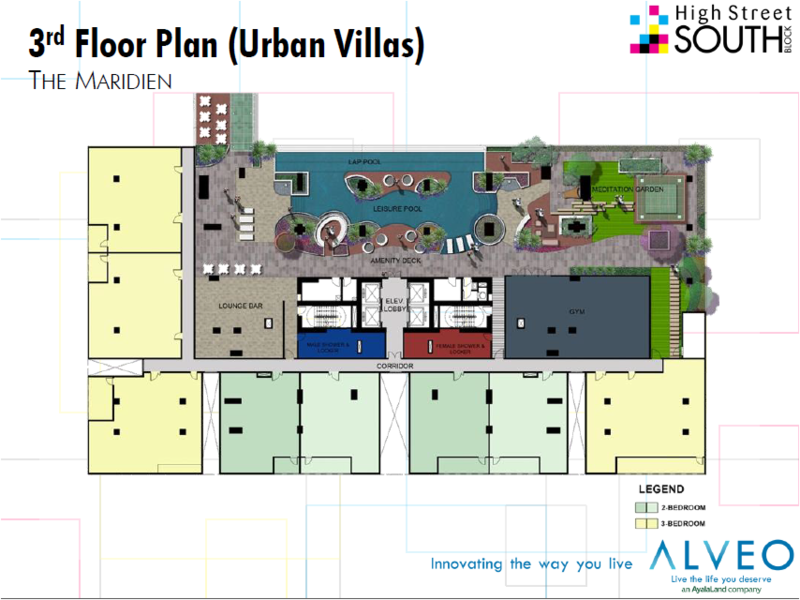 Urban Villas in Two Maridien allow for up-close views of the surrounding parks and vibrant retail and lifestyle areas. Dream up your own space that’s ready to be designed to your life’s vision. For those of us who live best within the proximity of our places of work and play, Two Maridien will offer the perfect setup for artists and professionals on the move. To those of us who take life out on our terms – the undisturbed solace of time spent alone, or a cocktail party held at our place – Two Maridien’s one-bedroom units will provide the ultimate getaway for the tastemakers of today. 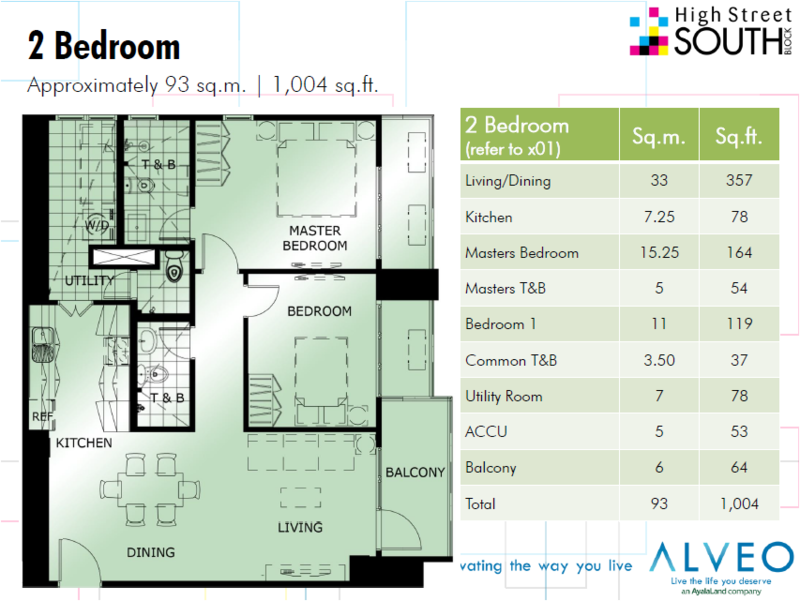 Families and gracious couples will find all the comfort and space they crave in Two Maridien’s two-bedroom units. 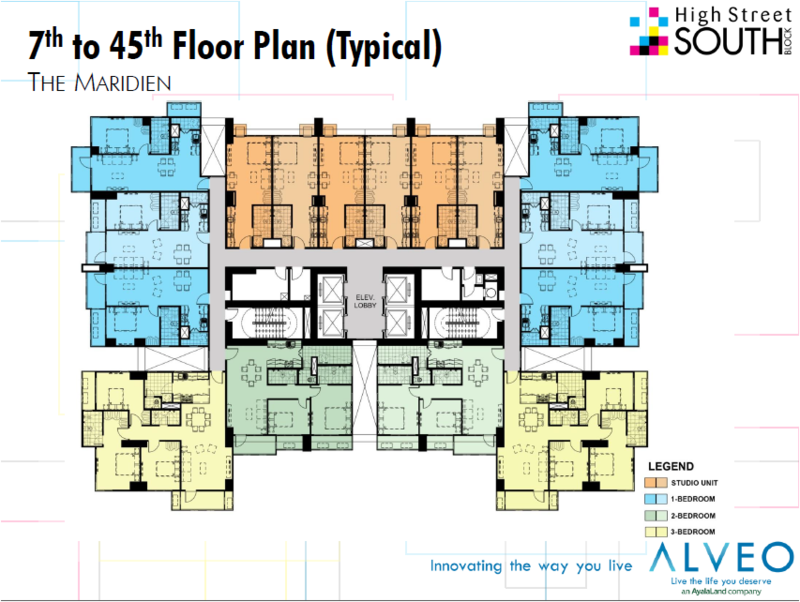 Friends will find the ultimate flat to fashion into their home base among Two Maridien’s three bedroom units. Generous spaces with careful incorporation of natural light will give you a sense of privacy and space when you want it, while allowing the indoors to spill out onto the balcony with a perfect venue to chill or even host a party. Five years from project launch or around Q3 2017 to be done in tranches. 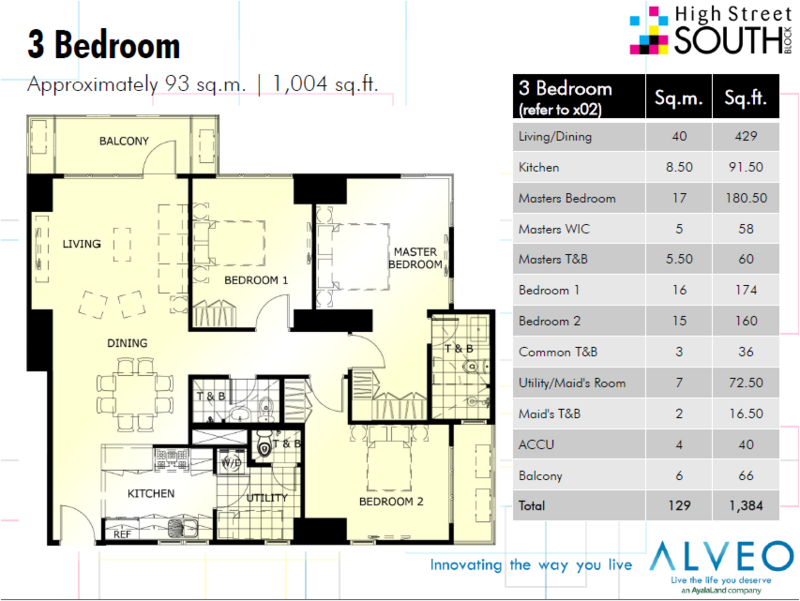 Own a unit in Two Maridien and make the best out of your city life.